According to statistics, in the full color LED display series, the scanning method is 1/16, 1/8, 1/4, 1/2, static. How to distinguish between different full color LED display scanning methods? One of the simplest methods is to count the number of LEDs on the LED electronic display unit board and the number of IC. Of course, it is also necessary to analyze the scanning characteristics of the corresponding LED driver. Calculation method: the number of LEDs divided by the number of ICs divided by 8 =a type of a scan. 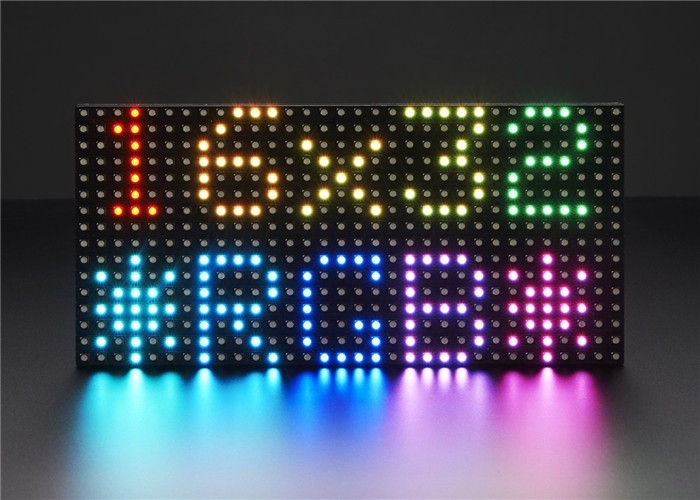 The real pixel LED display screen corresponds to the virtual LED electronic display screen: in short, the real pixel screen refers to the red, green and blue light-emitting tubes constituting the display screen which each light tube only attend imaging using of a pixel to achieve a satisfactory brightness. The virtual pixel means that the number of physical pixels on the display screen and the number of actually displayed pixels are 1:N (N=2X2), and the image pixels that can be displayed are 2 times longer than the actual pixels of the display screen . 1. The scanning method for LED display operation is different. 2. The brightness of the LED electronic display is different (the same type 16s is less than 8s less than 4s). 3. The quotation is not the same, perhaps it is understood that the number of driver IC chips used is different (the same type 16s is lower than 8s and lower than 4s). The LED display on the current market can be roughly divided into two methods: static scanning and dynamic scanning. Static scanning is divided into static real pixels and static virtual. Dynamic scanning is also divided into dynamic real image and dynamic virtual, with 2 scan and 4 scan , 8 scan, 16 scan respectively. If MBI5026 chips 32 pcs, scan type is static virtual. If MBI5026 chips 16 pcs, scan type is dynamic virtual 2 scan. If MBI5026 chips 8 pcs, scan type is dynamic virtual 4 scan. If there are two red lights connected in series on the full color LED display unit board. If MBI5026 chips 24 pcs, scan type is static real pixel. If MBI5026 chips 12 pcs, scan type is dynamic real pixel 2 scan. If MBI5026 chips 6 pcs, scan type is dynamic real pixel 4 scan.